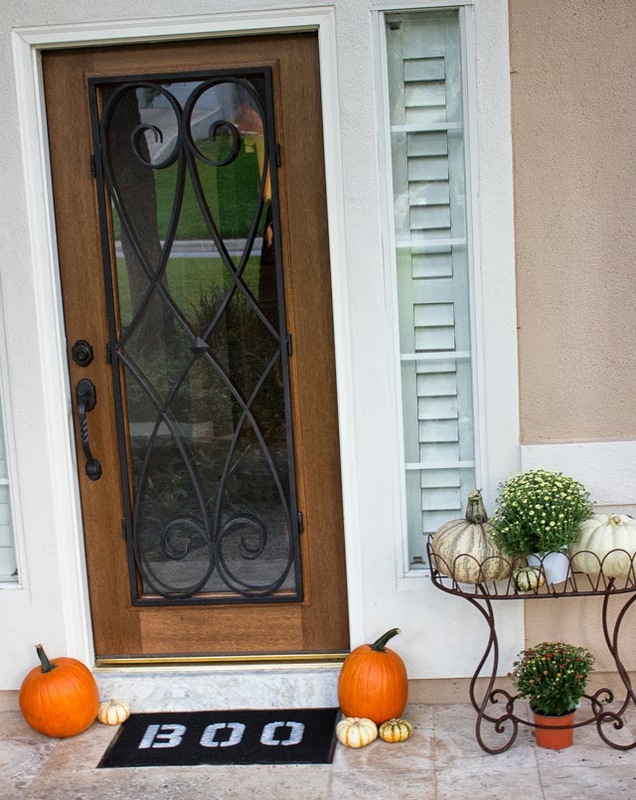 I hear that Halloween is a big deal in our neighborhood, and after living in a condo the last 7 years, this is my first time decorating a front door stoop for upcoming trick or treaters! 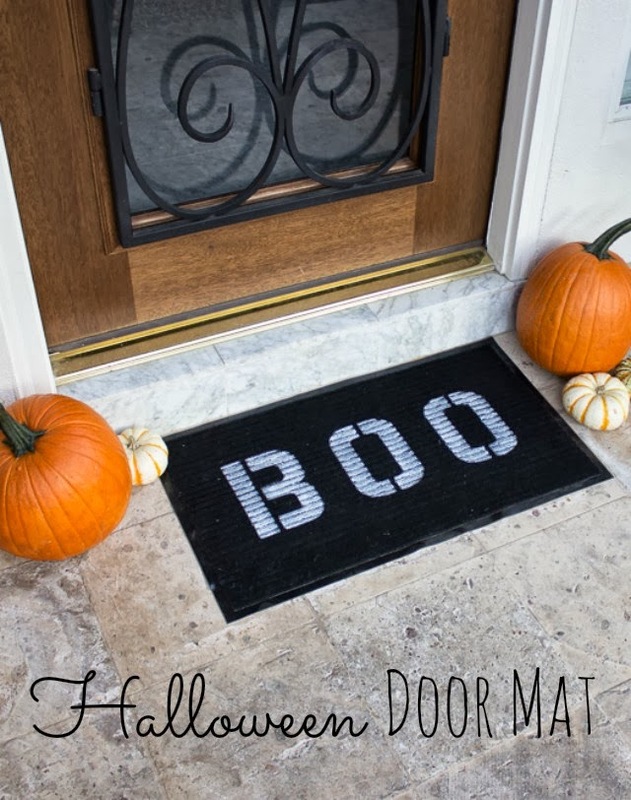 I was time pressed to jazz up our entry for our housewarming party this past weekend and made this simple “BOO!” mat in a matter of minutes using a basic black doormat I had leftover from making chevron doormats. 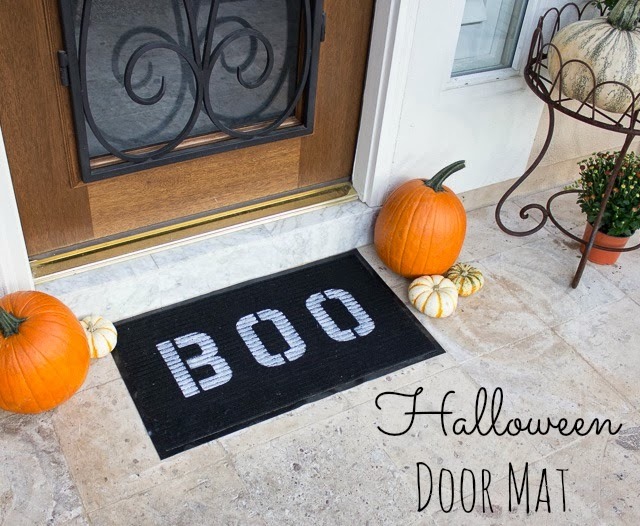 Need a Halloween mat for your own front door? 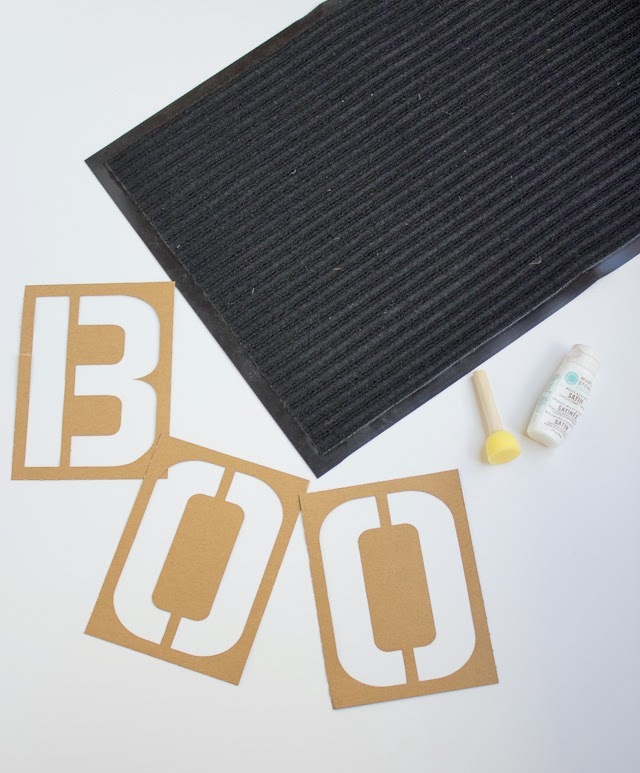 Here’s all you need to make your own BOO Mat in minutes! 1. 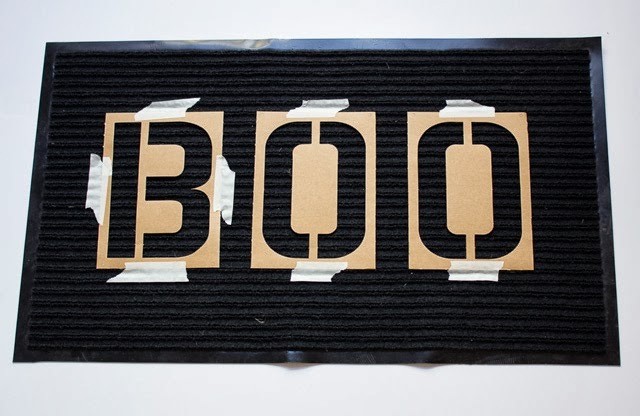 Tape the stencils down to your rug with the masking tape to hold them in place. 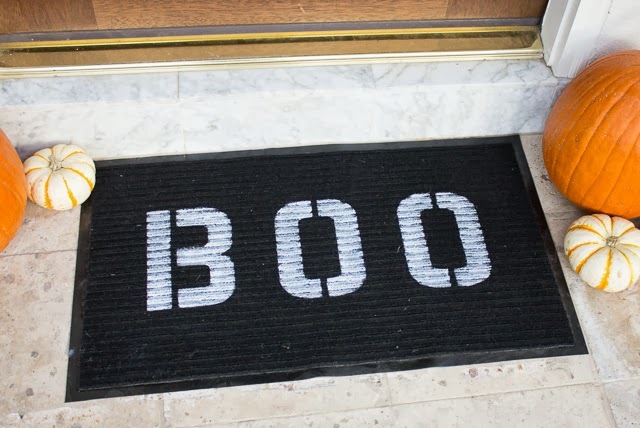 The rug I used had ridges on it which helped with the spacing of the letters to make sure they were centered on the mat. 2. 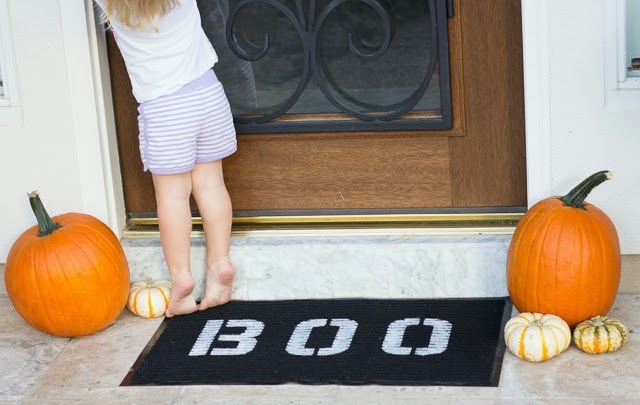 Pour a little craft paint onto a paper plate and apply to the rug with a foam brush with an up and down blotting motion. 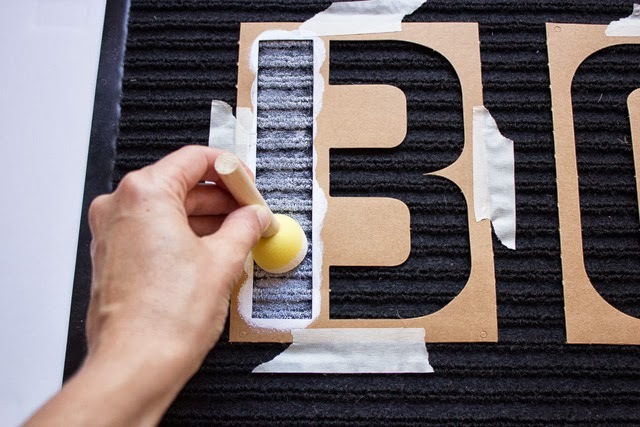 Hold down the stencil with your other hand to prevent any paint from seeping under the stencil. 3. Since the fabric in the rug soaks up the paint a bit, I gave it two coats, one after the other. 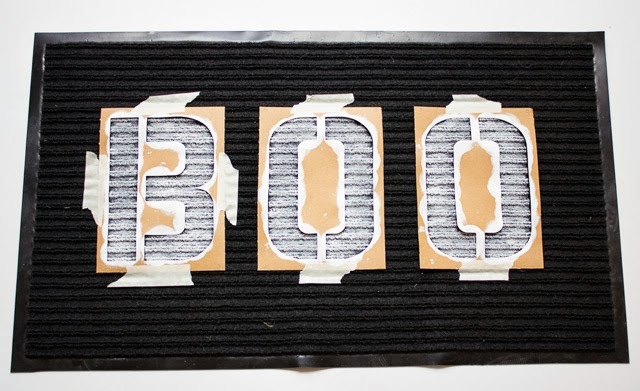 Remove the stencils and let dry.